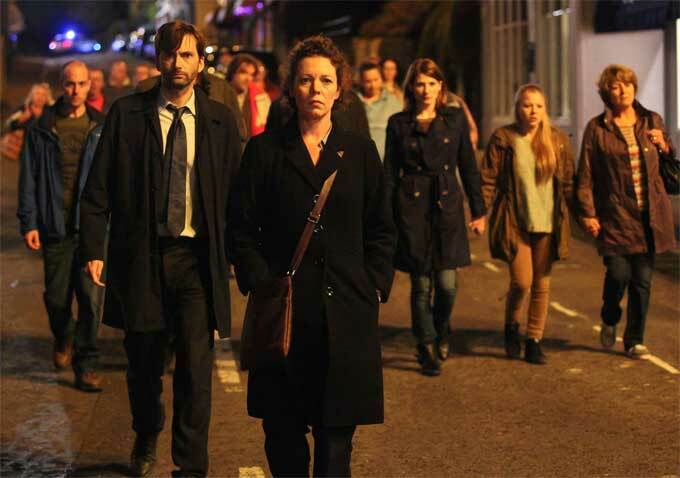 In murder mystery “Broadchurch,” which premieres on BBC America tonight, August 7th, at 10pm, after becoming a hit in the U.K., she captivated the country as Detective Sergeant Ellie Miller, a local policewoman reluctantly paired with newcomer Detective Inspector Alec Hardy (David Tennant) who finds herself investigating her friends and neighbors in the small coastal town in which she lives when a young boy, her son’s best friend, is found murdered. Indiewire caught up with the impossibly affable Colman in Los Angeles to discuss her role in the crime drama and not having to choose between laughter and acting serious. Murder mysteries are hardly new to the small screen. 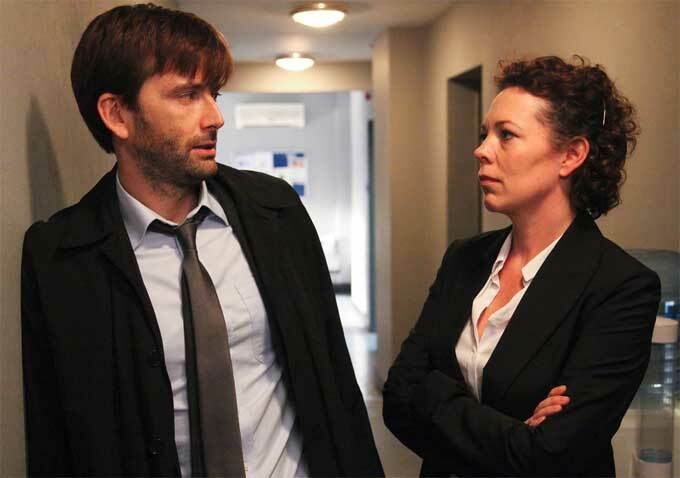 What is it about “Broadchurch” that sets it apart and makes it so compelling? I think the writing, Chris Chibnall, the writer, the fact that he went in to look at the family, at the fall out — you can picture yourself in the community, if you knew the child, and the awful implications of that. I think that’s why it’s so gripping. It’s just heartbreaking to watch. Whenever those cases appeared in the U.K., the whole of the country is looking for that child, the child that’s missing — they want to find someone and get them back and protect them. It is an obsession because it’s so horrific, and Chris wrote it so that all of the characters are multifaceted and have a proper arc to follow. He doesn’t patronize you. He lets you work things out, which is why you had to talk about it. He did it very cleverly. Because there are so many procedurals on TV, it’s easy to get jaded about the idea of murder within a story. 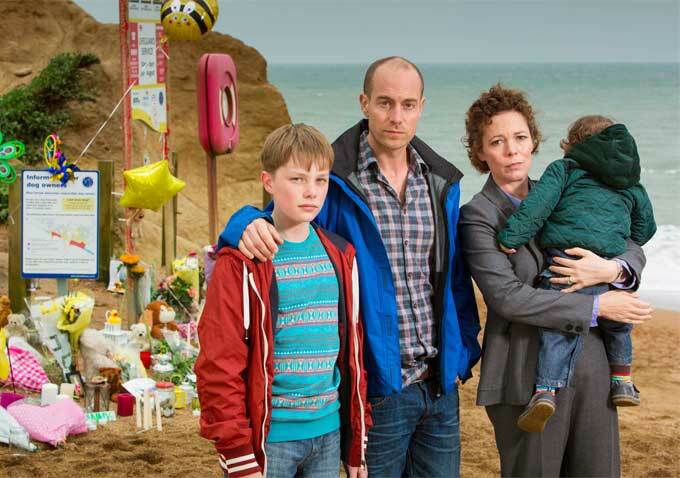 But grief and how the community was affected are not neglected in “Broadchurch” at all. How do you see your character as bringing that part of the story to light, as someone who comes from the town? It really cranks it up to 11, because I think she thought, “I’m a good detective. I’ve worked my way up. If there’s a murder investigation, I’m sure I can handle it.” You just don’t expect it to be a little boy, a boy you knew, a family you know, and in a place you love and trust. The doors have been blown open. Everything has been ruined for her. That was so interesting to play, and I think it made it much more accessible to believe everybody, not to mention yourself, having to deal with something you never want to deal with. And how would you describe her journey as a police officer over the course of the series? Toward the beginning, David Tennant’s character tells her she has to learn to look at people from the outside, but obviously there’s also a price for that. You don’t want to look at everyone in your community as a possible suspect. And the reason she took the job in the first place was because she loved where she lived and thought, “This was a way to protect the people I love and to give back to my community, look after everyone.” So yes, when he comes along and he takes her job, which pisses her off, she starts to realize, “He’s right. He had to learn the hard way. He’s really been hurt by his life and job. He’s right.” So slowly she has to start. If they want to get to the bottom of this, she can’t look at anybody with the benefit of the doubt. It really goes against the grain for her. Can you tell me a little bit about the area in which “Broadchurch” is based? Chris, the writer, lives there — in Dorset, in West Bay which is where the external shots of the coast are. So beautiful. The last time we were filming there everyone had their phones out, going, “Look! It’s amazing!” And we had to concentrate. So it is based on a real community. He’s so happy there, and you know everybody. Kids are running in the park and you know whose kids they are. So the impact of something like that happening there — it just sort of streamed out of him because you can imagine how everyone is going to react. So we filmed in Bristol, but it was meant to look like a town in Dorset, which was on the coastal side. I think it does work quite well. You can’t really see the seams where we were filming in the inner city but making it look like the coastal town. I didn’t know there was that kind of landscape out there. Jurassic Coast, they call it. The hut we keep going back to, the cliff is very close to the edge. Not that long ago, when [the current owner] bought the hut, she was saying she had a big garden, and it just dropped away because it’s sandy and not very sturdy and quite scary. You can see fossils. Lots of fossils are found on the beaches. And, at night, those type of sea creatures. I know there’s been a second season approved, and that was a surprise to some people who thought it would be a self-contained story. Is there anything you can tell us about what’s going to happen? I should’ve checked what I was allowed to say, because I’m slightly anxious that I’m going to drop anyone in it. We all wondered how it was going to work, but Chris talked us through his idea. He’d always pictured if it were to be picked up again that he would do this. And it’s great. I think you’ll be pleased. He’s writing it, and we hope to film in April or May, but if he’s not happy already with it then I’m sure we’ll shift it out, so don’t take that as gospel that it’s going to be ready. Getting it, that’s the hardest bit. There’s a massive lack of imagination. They forget that you’re an actor. They’ve seen your comedies, and they go, “Ohh, oh.” I’m an actor. I’ll do anything you give me. I’ll do it. I’ll play a bloke if you let me try it. So there are thousands of actors who’ve been stuck in a pigeon hole, so I feel very fortunate hopefully to remind people that everyone can do it. I know that you’ve continued to do comedy as well. What was that process for you, expanding into this territory? I’ve always done little bits of drama. It’s where my heart lies, what I always wanted to do — but if you get work, you don’t say no. Also, I loved it. I felt so lucky being with these amazing people in the comedy world and I made some fantastic friends. I just felt very, very lucky to be given the chance. Paddy Considine, for no reason at all, just decided that “I want her for Hannah.” I’m so grateful to him because it just changed everything for me. Do you find now that people are able to accept that you can play this wider range than you had previously been offered? They still seem to find it terribly surprising! No, it’s not. And I can give them examples, but it always happens. Why is it always a shock every year when someone does something different? It’s funny. I still get some really staunch “Peep Show” fans, and they clearly know if I booked a comedy — maybe they don’t watch drama. It’s very nice. Some people have never seen the comedy I’ve done. They’ve only seen dramas. So it’s peculiar. Certainly for me, and I think I speak for most of my actor mates, when you go into it you, the whole idea is to play lots of different people — funny, sad, strong, weak. That’s what you want to do. So, if I’m allowed to, I’d like to forever try to do a different thing each time. That would be great. Yours was one of the names tossed around in the rumors about who’d play the next Doctor on “Doctor Who” — would that be a role you’d ever consider? Yeah, of course! It’s a great job. But then everyone would know you, which is a big dealbreaker. I’m not that thick-skinned.